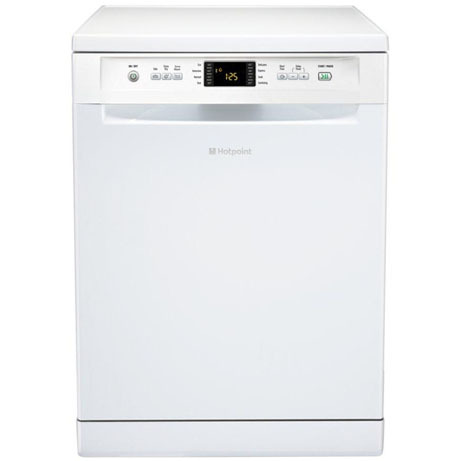 This Hotpoint Freestanding Dishwasher comes in a classic white finish. 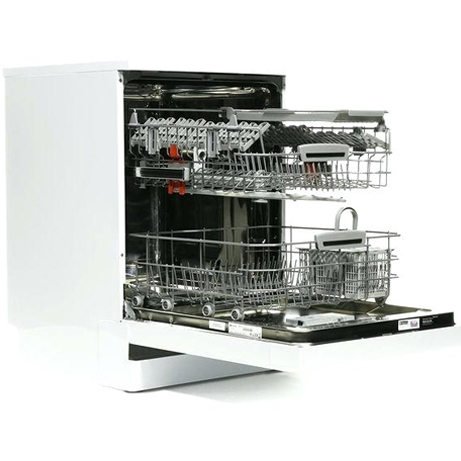 Keep your dishes clean and hang up your rubber gloves with the Hotpoint SMART Full-size Dishwasher in your kitchen. It has a large capacity that is ideal for washing pots and plates, and there are plenty of washing options to suit any load. The innovative Hotpoint Smart Wash lets you direct 30% more washing power to any one of the two internal baskets, giving you maximum cleaning power just where you need it. 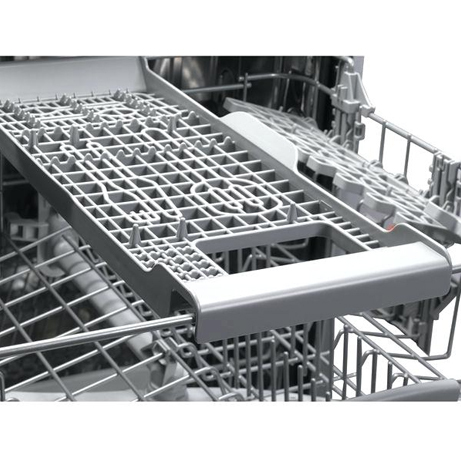 On top of this the Smart Load feature gives you maximum storage flexibility and can be moved and split so you can arrange the baskets to suit any time of wash. There’s also a third upper cutlery tray, folding removable glass supports and fully folding plate racks. 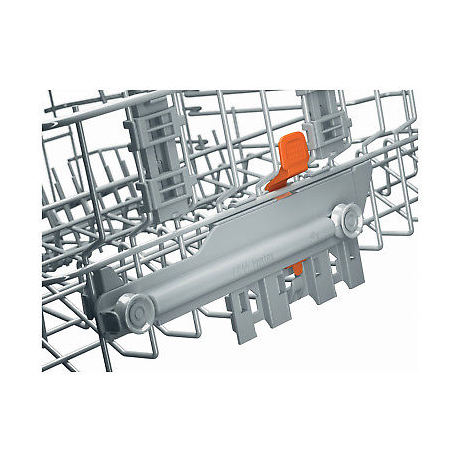 This Dishwasher offers eight programmes that make it simple to clean cutlery, plates and cookware. This includes an intensive mode that’s perfect for dealing with stubborn dirt, and auto daily mode for everyday washing. The Eco Cycle is an energy efficient cycle that optimises energy efficiency whilst maintaining a through clean. 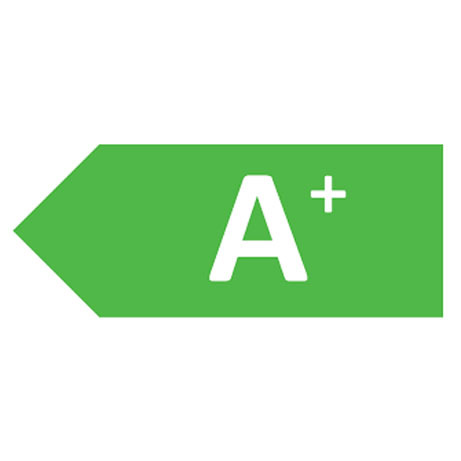 Using this cycle helps to keep energy bills low and contributes to the dishwasher’s A+ energy efficiency rating. When you’re in a rush, you can make use of the Express 30 programme. This speedy programme allows you to wash lightly soiled dishes in as little as thirty minutes.